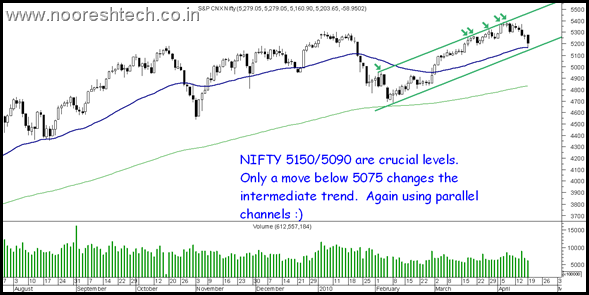 Nifty Technical View : 5150-5160 and 5090 strong supports. Although i generally prefer to give a view on Sensex which i have been more accurate but its just that people want me to write on Nifty more so will make an attempt for the next few days. Nifty took support exactly around the 50 dema which came around 5165. Technically 5150-5160 and 5090 are the important supports. Also a parallel channel support can be seen around 5150. Parallel channels are generally more precise with a little longer time frame. Have earlier used it to spot LAST THREE IMPORTANT BOTTOMS. Only a move below 5075 would change the intermediate trend. 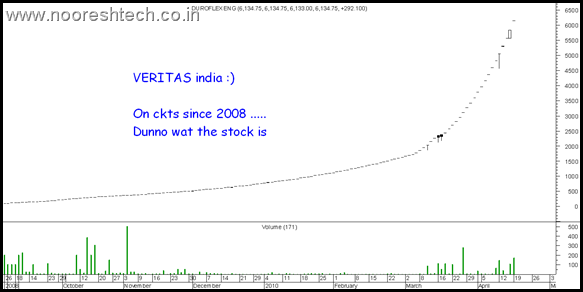 Now for Sensex just pasting from yesterday. Technically Sensex should see a bounce from either 17300/17000 support levels.The intermediate trend remains positive till 16900 holds. 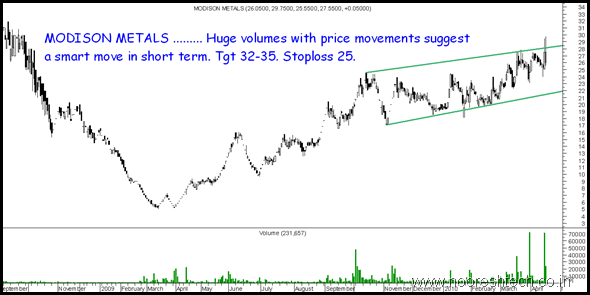 Looks interesting for short term with increase in volumes. Keep passing the link of this blog to your friends if you like the stuff posted here. Also people wanting it on mail can subscribe it by the top left box.